Can you imagine it? Over 30 Dakotas in formation taking off from historic Duxford airfield, escorted by WWII fighters? What images do you conjure up when you think of DDay June 6th 1944? Is is the ramps of the landing craft crashing down in the surf? 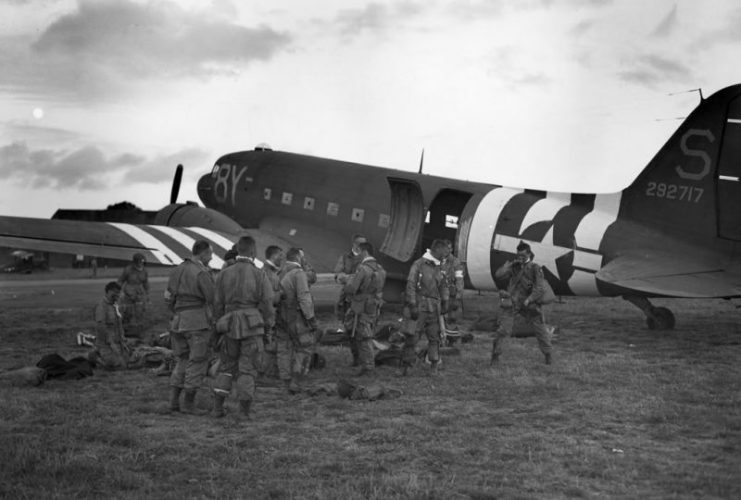 Eisenhower talking to the men of the 502nd PIR in England ahead of the Airborne landings? Is it perhaps the German bunkers and barbed wire sitting forebodingly along the Normandy coast, waiting for the Allies to appear in the fog? Then watching them get smaller and smaller as they headed off to France and an uncertain destiny. Everyone onboard or viewing this spectacle had the same sense of trepidation and hope. All knowing that the fate of free people everywhere was dependent on their bravery and the success of their missions. If the Airborne landings and bombing of German positions go well, there is a good chance the beach landings on Utah, Omaha, Gold, Juno and Sword will be similarly successful. These images are so powerful and represent everything that was so audacious and epic about Operation Overlord. This June in both Duxford, England and Carpiquet, France we who were not alive in 1944 and the few remaining survivors who were actually there, will have a glorious opportunity to see this spectacle again. 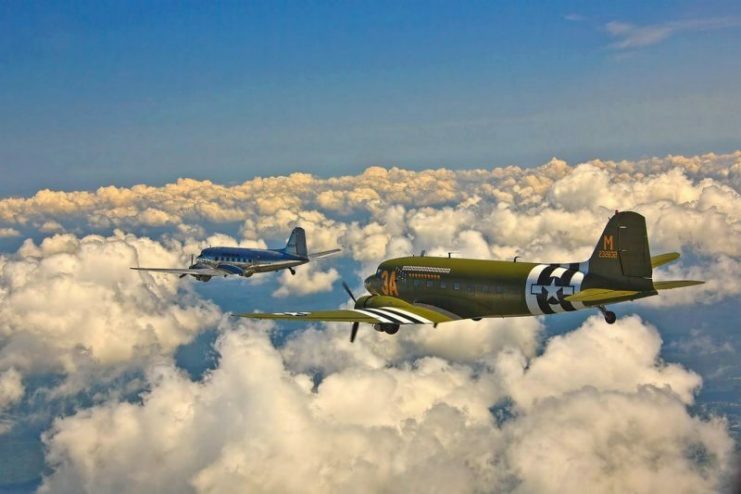 As part of Daks Over Normandy, over thirty original C47 Skytrains will recreate this epic journey in almost certainly a one-off event. 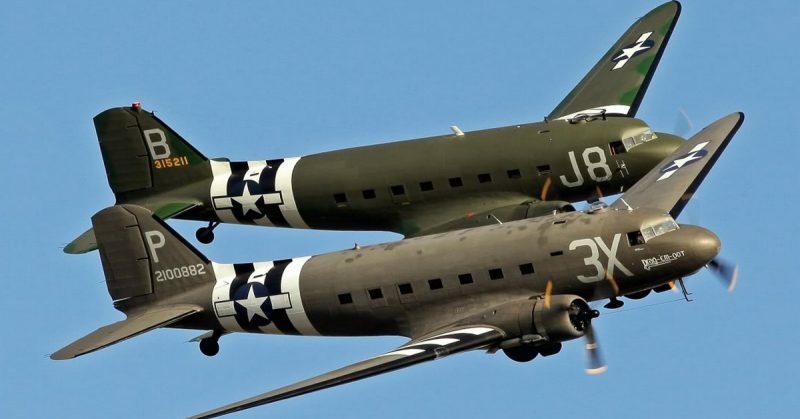 The C47 is better known by many as the Dakota. A workhorse of the Allies in WWII and used the World over as transport for people and material for decades after the conflict. We can once again hear the roar of the Pratt & Whitney engines. Gasp in awe as dozens of crews from all over the world take these warbirds back into the skies to recreate the invasion flights. These beautiful and lovingly restored aircraft, many in their DDay livery will fly over the channel from Duxford around and down the south-eastern coast and across the English Channel. 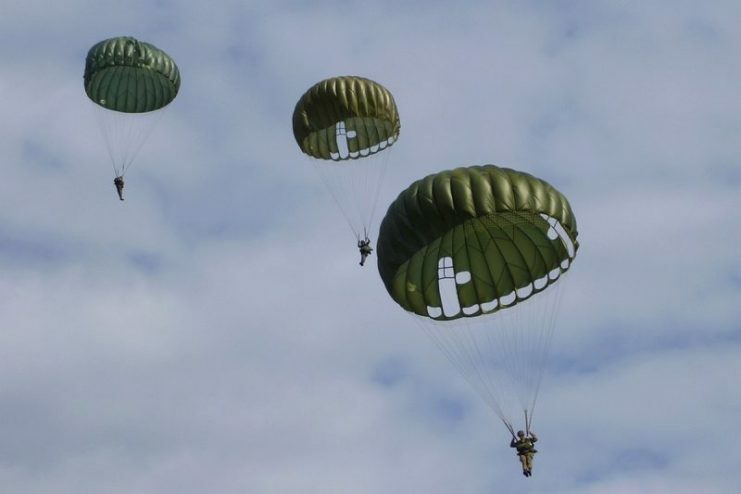 Then in Ranville, Normandy close to the now famous Pegasus Bridge, hundreds of paratroopers in authentic WWII uniforms and round-canopy chutes will jump once again on these historic fields. 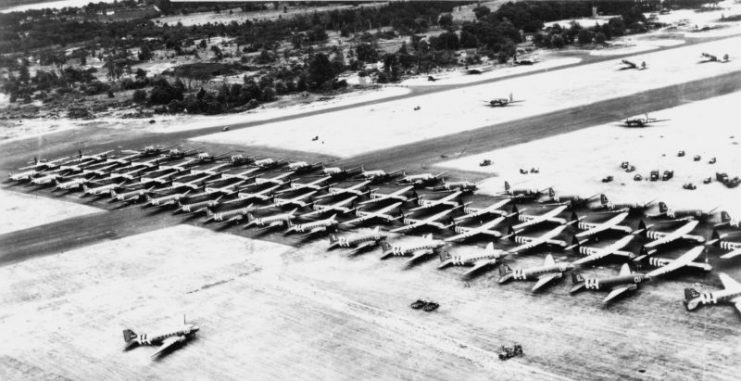 The C47s will then land at Carpiquet airport where the public can visit and be part of this endeavor. 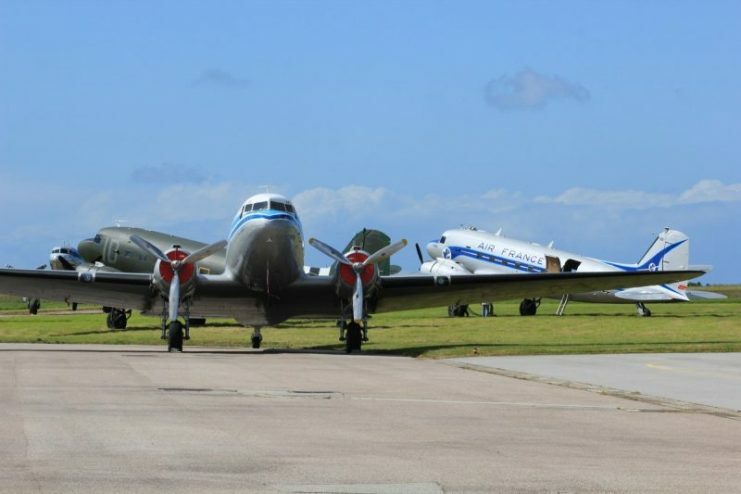 This is very simply, probably the most ambitious and unique event in the vintage aviation world since the 1940s. For more information, I encourage you to please visit the Daks Over Normandy website where you can find out all about the shows, how you can support the event from afar, and of course how you can attend.